Last April, the Madison Ave group conducted a series of community consultation meetings regarding the proposed new Estonian Center. At one of these meetings (Mar 28), I stated that parking is the project’s Achilles heel. For this reason, I asked for a comprehensive parking study to analyze the problem and to develop solutions that could be debated by the community. The meeting facilitators promised to conduct a parking study and deliver it to the community by fall of 2018. This promise was reiterated when I asked a follow-up question at last year’s Eesti Maja AGM. Unfortunately, to date, no parking study has been presented to the public. Also, nobody seems to have been consulted about their parking needs. 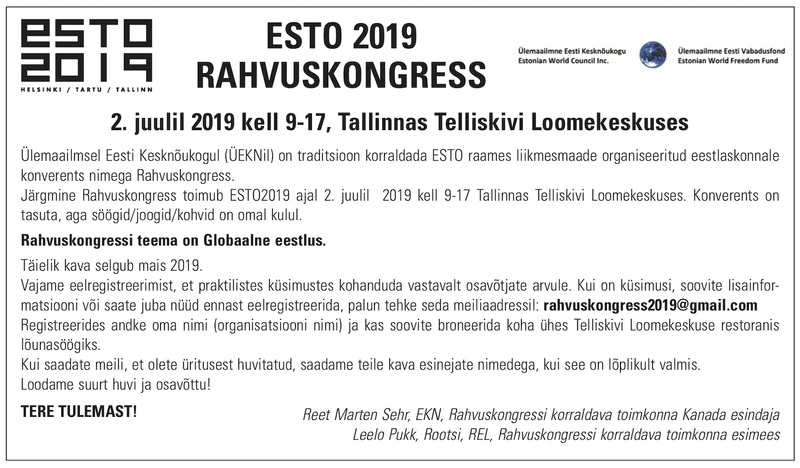 This includes the Toronto Eesti Selts of which I am now a director, and which organizes the Vabariigi Aastapäeva Aktus every year. At a recent community engagement meeting (March 14), I was told by the meeting facilitators that a parking study has been conducted. When asked for its conclusions, I was told that they didn’t have it handy for reference. They told me that I could approach the Madison Ave project manager for it, but several e-mail requests for the study have yielded no response to date. I also asked about a letter from the City Manager of Development Engineering Avi Bachar dated Dec 14 that turned down the Madison Ave group’s request for a zoning variance that would reduce the number of parking spots slated for this site from 19 to zero. According to this letter, a parking study was submitted with this application, which analyzed parking patterns at the current Eesti Maja. According to the letter, this study had observed in their study period that the peak number of occupied parking spots at 958 Broadview Ave. was 12. 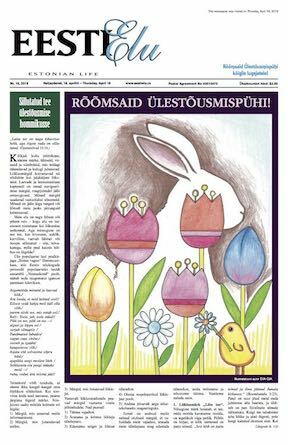 Anybody who has any familiarity with the Eesti Maja knows that this conclusion is absurd. The Eesti Maja’s 72-space parking lot is overflowing several nights every week. The meeting facilitators told me that an amended study was submitted to the City, which had satisfied them. When asked what modifications were made to the resubmitted study, they said that they did not have that information readily available. One of the presenters opined that in thinking about transportation in terms of private vehicles, I was using outdated concepts. He said that the future of transportation in Toronto is with public transportation. Later on, I pondered all of the brand-new subdivisions being built in Pickering, Ajax, Aurora, Newmarket, King City, and every other bedroom community in the GTA. These are built exactly like 1950’s homes (except on smaller lots) for people whose primary mode of transportation will be their car. This new construction means that the private automobile will be an important factor in the GTA transportation equation for the next three or four decades. There has been much talk about the so-called Uber generation, that is young people who choose to live in the city and eschew car ownership entirely. There is some truth to this trend but it is not the whole truth. It has been exaggerated, as urban geographer Joel Kotkin has tirelessly documented. Many young families want a house with a backyard to raise their kids. They are not going to get that in the City of Toronto where house prices are exorbitant. They must move out to the aforementioned suburbs. For these families, the additional strain of a subway ride on top of a long commute may be too much. For them, an Eesti Maja with no realistic parking will cut them off entirely from our community. Our community is too small to write these Estonians off. 1. A canvas of all potential user groups to assess the parking requirements of the functions they organize. For instance, how much parking does the Vabariigi Aastapäeva Aktus require? 2. A catalogue of potential routes to the Madison Center with their related traffic issues. 3. An inventory of nearby parking, with their cost and distance from the Center. Of particular concern is the parking lot on Spadina north of Bloor. This provides much of the area’s paid parking but it looks ripe for redevelopment. Have we secured a promise from the City that it will remain? Have we considered leasing space from neighbouring parking lots for seniors and people with accessibility needs? We need answers to these questions in order to be able to properly assess the parking situation on Madison Ave, but currently we are debating in a vacuum.